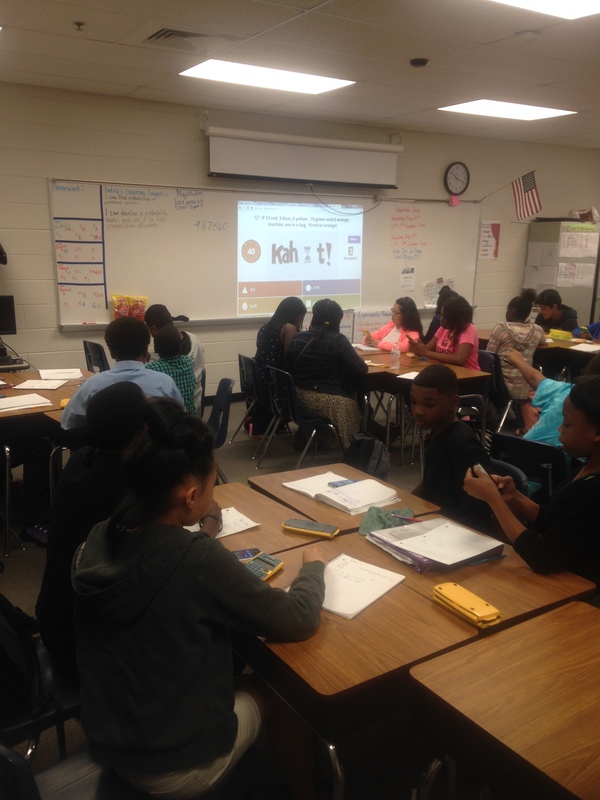 Since 2010, I functioned in the role of math coach until the beginning of last school year. Feeling a bit burnt out and moving to a new school district created a perfect opportunity to go back into the classroom. With an amazing group of 7th graders, I was able to practice a lot of things I had preached for the past 4 1/2 years. What came out of that walk is explained below. Our last unit dealt with probability. Perfect! I tied in the last unit with other concepts to be covered on our district final. We watched the first 20 minutes of The Hunger Games. 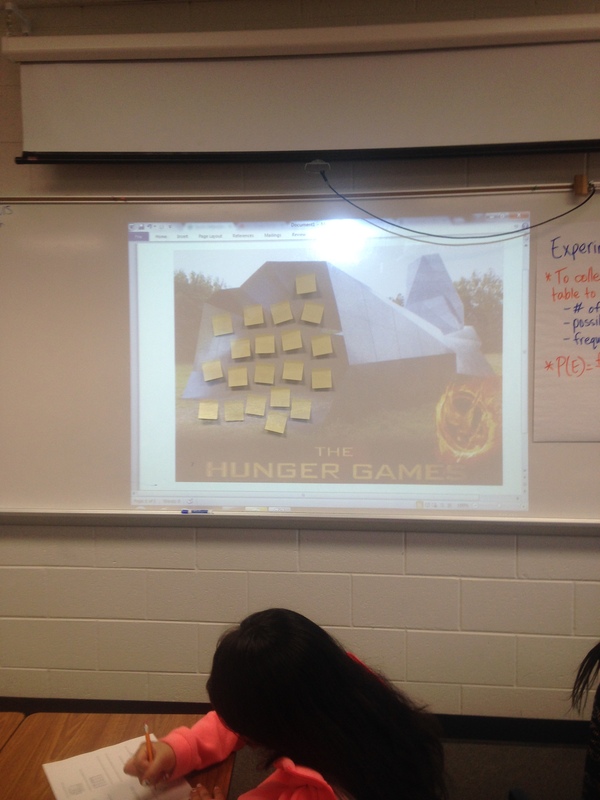 From there we completed The Reaping and the games began! Within this Powerpoint, you’ll find directions for two games played, Hot Seat and Review Relay. Students were pumped about earning points for the districts. This may have been my favorite game. Tributes had to make it to the cornucopia to retrieve items from their sponsors. Incorporating technology, we played Kahoot, Overthrowing the Capitol. My students need some extra motivation to compensate for the lack of intrinsic motivation quite often throughout the year. The end of the year was no different. 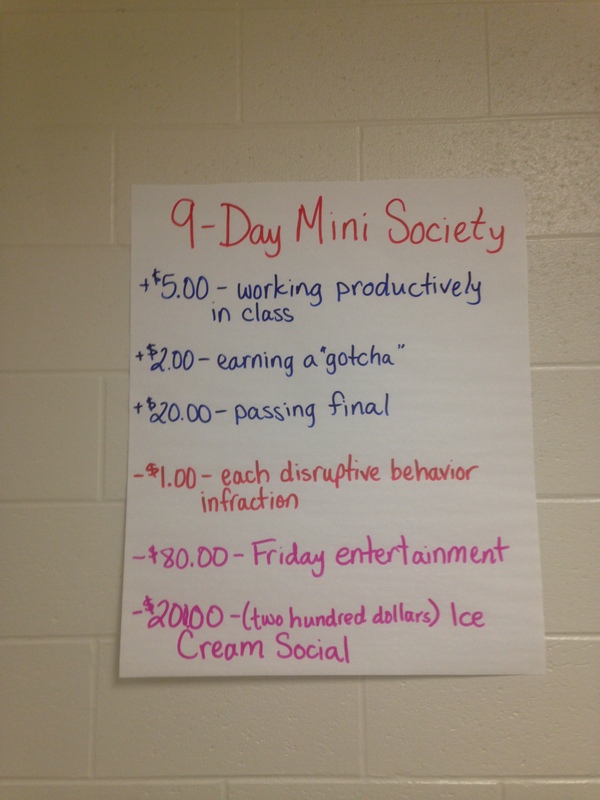 To keep students motivated to continue down the road of success until the very last day, we developed a mini-society. Have you ever heard of the 5 love languages? If not, they were developed by Gary Chapman a psychologist who studies people and their relationships. He says we all possess five languages that make us feel loved. There may be one language that speaks louder than others, which is referred to as our primary love language. The 5 languages are Words of Affirmation, Physical Touch, Acts of Service, Gifts and Quality Time. For more on this visit, 5 Love Languages. In years past, I’ve had students complete the profile for kids or teens. This would allow for more insight into building a relationship with students and getting to know them better. I learned the students “love language” and spoke it for encouragement and did my best to not use it against them for punishment. For example, if a student’s primary love language is quality time, I would make sure I stopped by their desk to check on them more frequently than others. Or I would allow them to work with a partner when others were working independently. If the student misbehaved I would do my best not to send them out of the class. If I did they could interpret my sending them away as I don’t love or care about them. With 100 students it has been difficult to speak each student’s primary love language for the sheer fact that I cannot remember them all. However, because it’s just who I am, I cannot do away with them. So I make sure I’m multilingual, speaking all five languages. The more this is done, the more I can clue into which ones make more of an impact on certain students. Enter academics, the students begin to trust me, they let their guards down. This is the gateway for a safe environment for the students. This is the gateway for them to be down for almost anything. This is what Turtle said was my secret weapon.